A favorite for many years! 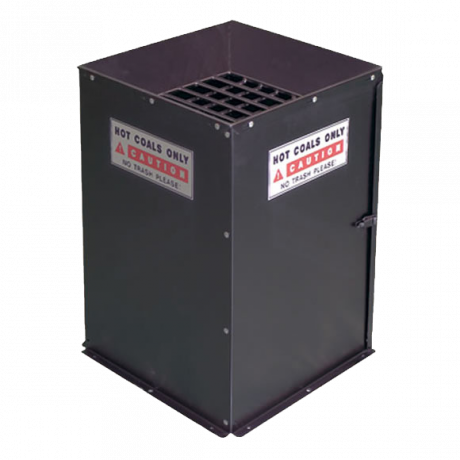 The 20" W x 15" D x 10" H fire box is made of 3/16" thick steel with a continuous weld type construction. 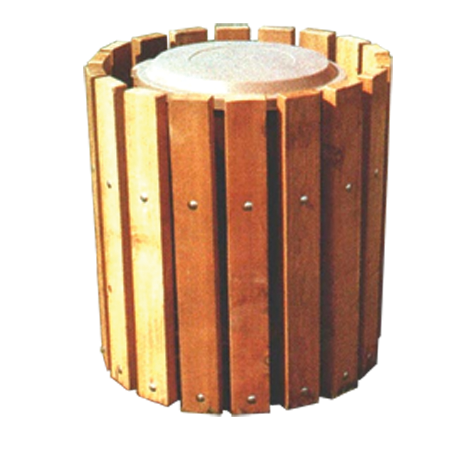 A large formed ash lip is provided to reinforce the fire box and help retain hot coals. 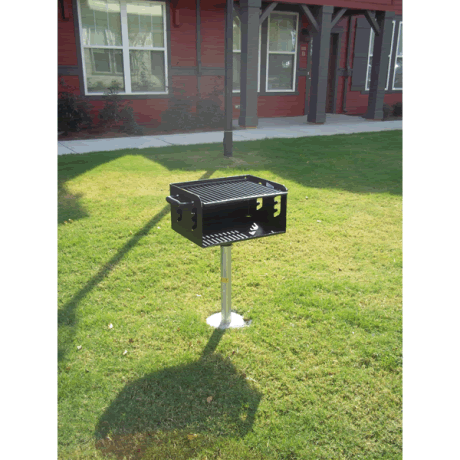 The 300 square inch cooking grill has 1/2" steel bars welded on 1" centers and adjusts to 4 heights in the anti-theft designed slots. 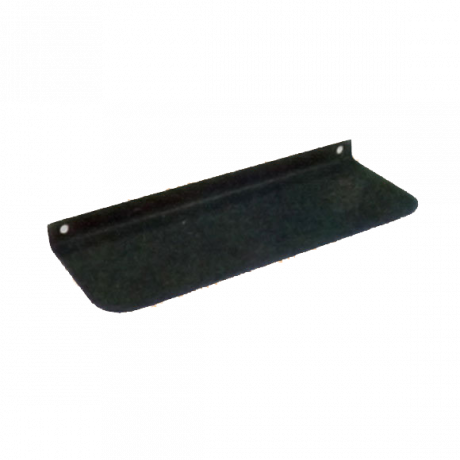 The grill handles have heavy-duty cool spring grips designed for public use. 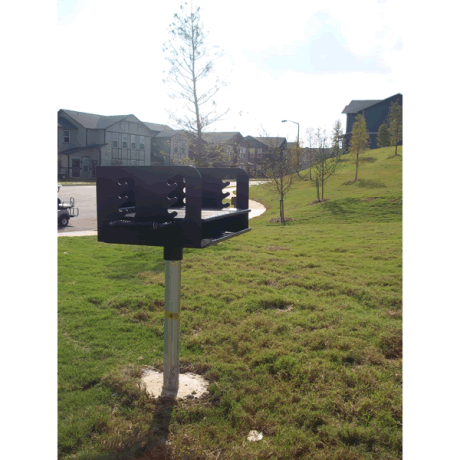 The unit comes standard with rounded corners, drain holes, and will spin around 360 degrees on a theft resistant pedestal. 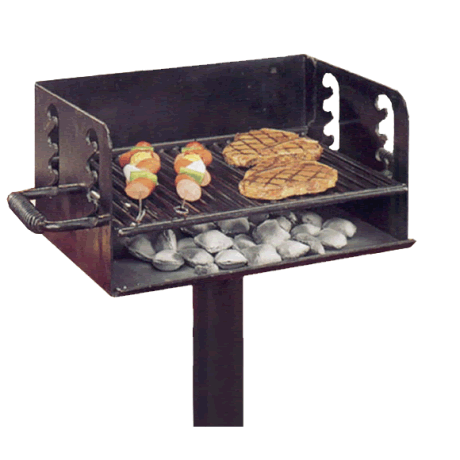 The grill and fire box are finished in non-toxic, heat and rust-resistant black enamel. 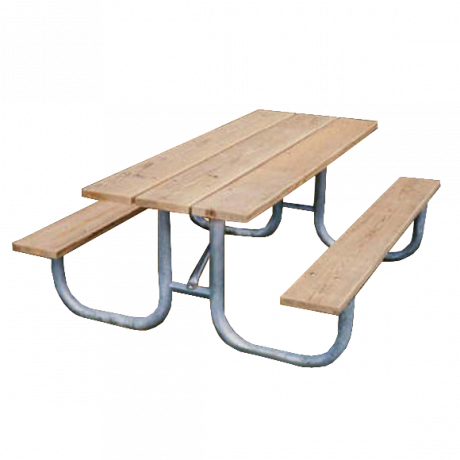 This park grill sits on a 2-3/8" O.D. galvanized pedestal. 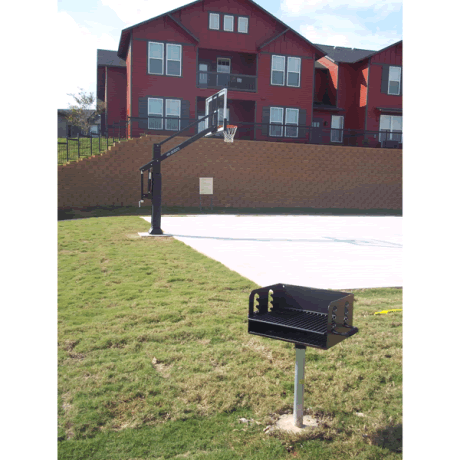 The pedestal is 40" long to allow for 16" inground mounted in concrete. 1. Hammer the head of the locking bolt so that a person cannot simply bring their own tools to remove the grill top. 2. Heat up the locking bolt, as this may warp the bolt enough to where it cannot be removed. 3. Tack weld the locking bolt to the pedestal. Warranty Terms: Manufacturer warrants all products are guaranteed to be free from all defects in materials and workmanship (except labor and transportation) for one (1) year. This warranty does not cover vandalism; damage caused by improper installation, assembly or use; appearance due to weathering, or marring caused by normal use and acts of God. Claim for defects must be filed within one (1) year, accompanied by a copy of the original invoice or invoice number.